Victoria/Vancouver – ICBC has posted a net loss of $582 million (financial spread sheet here) for the first six months of our current fiscal year (April 1 to September 30, 2018), reflective of the continued pressure ICBC is under from the rising number and cost of claims. The number of claims being filed with ICBC and the cost of both injury and vehicle damage claims have been escalating in recent years, as has been widely reported. ICBC’s net claims incurred for the first six months of its fiscal year alone topped $3 billion, an increase of $634 million, or 26 per cent, over the same period last year ($2.4 billion). During the first six months of this current fiscal year, in particular, ICBC’s claims settlement costs have continued to grow, with an increasing number of large loss claims which run into hundreds of thousands of dollars each, and continuing aggressive pressure from plaintiff counsel which is leading to slower claims closure rates and higher settlement demands. To which the Provincial Government issued this statement from Attorney General David Eby, who has gone on record describing the financial plight at ICBC as a “dumpster fire”. “For too long, financial problems at ICBC were ignored and hidden from the public, resulting in a $1.3-billion net loss in 2017-18. Unfortunately, ICBC’s second-quarter results for 2018-19 show that its financial position remains serious and ICBC is now forecasting a larger-than-expected loss of $890 million this fiscal year. 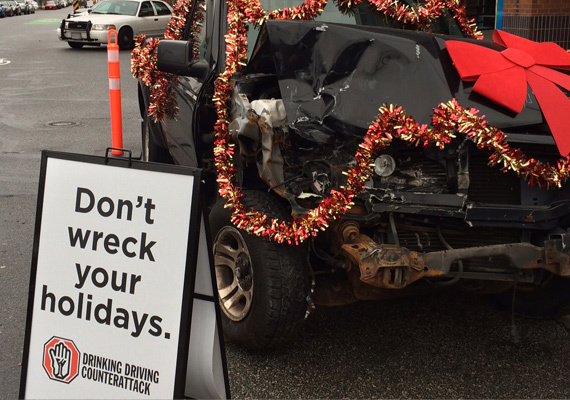 “This financial situation reflects the mounting pressure ICBC is under from the rising number and cost of claims. The primary reasons are higher bodily injury costs, as well as claims taking longer to resolve, which often result in higher claims costs. A key driver of these costs is a growing trend toward plaintiff lawyers strategically building the value of the claim – costs which have to be paid for by ICBC ratepayers. “These trends are becoming more severe. Since March 2017, the dollar value of settlements demanded by plaintiff lawyers for litigated files increased by 27%. The average cost of closed litigated injury claims for the first six months of ICBC’s fiscal year rose from $100,427 in 2017 to $121,686 in 2018, a 21% increase. Plaintiff counsel are also spending more to build their files, increasing their average cost of experts and reports by 20%. “Given this situation, we are looking for ways to accelerate and add to our efforts to solve the financial problems at ICBC. Earlier this year, our government announced a suite of product changes to stem ICBC’s losses, provide enhanced care for people injured in crashes and to make insurance rates fairer. As a result of these changes, ICBC is projecting net savings of $1 billion annually. However, we won’t start seeing these savings until after most of the reforms take effect, starting April 1, 2019, after which we can expect more dramatic financial improvement. It is now clear that this government needs to look for even more ways – beyond what is already planned – to further reduce the escalating cost of claims. Be the first to comment on "ICBC On Pace For $890M Loss By End Of Fiscal Year"